Itron, Cisco Win BC Hydro – Turns out the rumors were true. VANCOUVER – With a pending 50 per cent increase to B.C. Hydro rates, New Democrat interim leader Dawn Black and energy critic Doug Donaldson today called on Premier-designate Christy Clark to take steps to protect families from skyrocketing B.C. Hydro bills. Black said Ms. Clark should start by suspending B.C. Hydro’s $1-billion Smart Metering Program and bringing billions in planned capital spending by B.C. Hydro back under the purview of the B.C. Utilities Commission (BCUC). “The B.C. Liberals are ignoring the public interest, spending billions of dollars on projects like the Smart Metering Program with no accountability,” said Black. “That’s led to the prospect of massive and unaffordable hydro rate increases for average families and small businesses. Black said recent media reports detailing concerns about the awarding of a Smart Metering contract to a company with B.C. Liberal ties underscore the need for the program to be suspended and thoroughly reviewed. “Under the B.C. Liberals, B.C. Hydro has lost its citizen-focused mandate, which must be central to a crown corporation,” said Donaldson. “As a result, customers of B.C. Hydro are forced to pay the biggest price. B.C.’s New Democrats are committed to restoring the role of the BCUC and implementing an energy plan that puts British Columbian’ interests first and focuses on conservation and environmental protection. says New Democrat energy critic John Horgan. … Read More…. 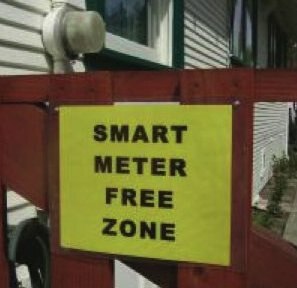 Homes in BC that were constructed in the past few years were given the choice of new smart meters or old style meters. Some homes, schools and industry locations in various areas of the Lower Mainland and Victoria have smart meters operating today. However they are apparently not the version with wireless, which many were asking about. 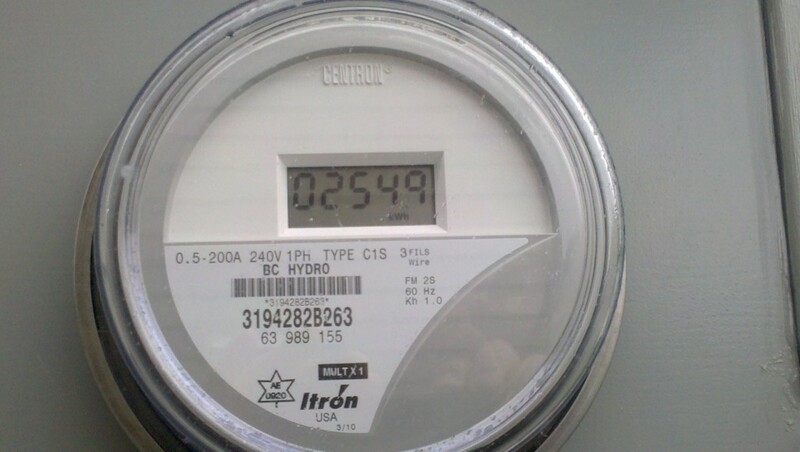 British Columbia’s Corix Utilities has won a $73-million contract to install new power meters for BC Hydro’s smart meter program. Hydro announced Tuesday that it has also awarded a $65-million contract to global technology and consulting firm Capgemini to provide information technology and telecommunications support to integrate the new metering system into Hydro’s grid. The Corix contract “will result in an estimated $30-$40 million in direct wage benefits in B.C. through the hiring and training of a labour force of over 350 to complete the project,” Hydro said in a news release. Hydro said installation of 1.8 million meters will begin later this year. Corix is replacing Hydro’s existing mechanical meters with digital ones that can collect a greater range of power consumption data than is possible at present. For example, Hydro says the meters will serve as a deterrent to electricity theft. As well, Hydro will know almost immediately if there’s a local blackout instead of waiting for customers to phone them with the information. Corix will open seven regional offices to facilitate the installations -in Surrey, Prince George, Terrace, Victoria, Burnaby, Kamloops and Cranbrook. “Corix has both strong local knowledge and broad experience and has performed over 10 million meter exchanges and other device installations and retrofits for various gas, water and electric utilities, helping the utilities make smooth transitions from traditional meter reading to automation. The contract is worth approximately $73 million over the next two years,” Hydro said in the release. Proposed WiMAX Wide Area Network. RuggedCom Inc., (“RuggedCom”) (Toronto:RCM.TO), a leading designer and manufacturer of rugged communications networking solutions for mission-critical applications in harsh environments, today announced it has been selected as a supplier for BC Hydro’s WAN Pilot project. The Pilot project will run through March 2011 and successful deployment will extend the supply agreement for an additional two to three years. The pilot project is a multi site live outdoor deployment and is expected to last 3 months. The project will be deployed in the 1.8 GHz frequency band, set aside by Industry Canada for electric power applications. RuggedMAX is the world’s first utility grade mobile WiMAX platform designed for the harsh environment of the electric substation by complying to standards such as IEEE 1613 and IEC 61850-3. RuggedMAX supports a unique standalone network architecture, which can operate without the need for an ASN gateway, thereby reducing end-to-end latency and improving system reliability. RuggedCom is a leading provider of rugged communications networking solutions designed for mission-critical applications in harsh environments. RuggedCom’s pioneering leadership in developing technologies and products for the electric power industry delivered the world’s first IEC 61850-3 compliant Ethernet switch suitable for electric utility substation environments, the world’s first IEEE 1613 Class 2 error free communication devices, the world’s fastest network fault recovery and the world’s first fully managed IP67 rated Ethernet switch. RuggedCom’s technology solutions include Ethernet switches, network routers, wireless devices, serial servers, media converters, software and professional services. RuggedCom’s products are expressly designed for use in challenging environments such as those found in electrical power substations and “Smart Grids”. in British Columbia. Wall Street comedy abounds. No sooner had the firms made their guesses when a Vancouver Sun piece detailed the $930 million plan along with a picture of Fiona Taylor, acting director of BC Hydro Smart Meter and Infrastructure, holding a Sensus meter. On BC Hydro’s website, Minister of Energy Steve Thomson stands in front of a wall of smart meters from different makers. But that hasn’t stopped Itron’s stock from climbing to nearly $60 per share from $55 earlier in January; it is currently at $58.50. If we have a billion dollars to invest in energy conservation, is this where to start? One of the arguments the BC government is pushing to try to justify this waste of a billion dollarsof ratepayer money is that these toys will prevent electricity theft. Back when I posted that article in July they claimed that $30 million is stolen by marijuana grow-ops every year. For your information and in case you would like to sign. You can also make a comment, as many people have. To read comments, scroll to the bottom of the petition. With the local MLA’s office being the one that has the most people in the province asking for help because they are facing hydro disconnection, it is no wonder someone has started a petition. Holly Bliss has done just that, in reaction to her hydro bills being double of what she paid last year. At press time, there were 1,662 signatures on the petition, and only from Campbell River community members. “The residents of British Columbia are struggling right now,” said Bliss. “The new “smart meters” were supposed to help us, but so far, it has caused nothing but problems. Some had left BC for the holidays and used zero energy, but BC Hydro’s smart meters can be viewed online, and said some were using energy when they were not even home. We have enough power to send to California where they pay less, meanwhile we are losing our shirts. There are no other options available in BC, they (BC Hydro) are the primary suppliers for power and they have us trapped. They are not responsible for any damages to properties. There have already been homes that have been damaged via fire to defective smart meters. Claire Trevena agreed with the situation we have been left in. “There are people who have to choose between food or heat for their homes,” said Trevena. Bliss said the main objective of the petition is to make politicians and bureaucrats aware that these rates really hurt young people, families, seniors on fixed incomes. One man had mentioned on a social networking site that while he was away at camp he looked on his BC Hydro App and it said that he was using the same amount of power as the previous week when he was on his days off. Another person said while they were away during Christmas they were paying as well. One woman said her bill went from $550 to $750 and she purposely has not turned on her furnace this year. She is on disability pension and cannot afford these rates. Another paid $173 on her last bill and this bill is $420 and nothing has changed. Fri, Dec 19 2014 – The controversy over smart meters is surfacing again. This time in the Okanagan, where Fortis BC is installing what it calls “Advanced Meters.” For more on the equipment and how it will impact you we chat with David Wylie of Fortis BC.